I love that quote, because I love variety 12-packs. 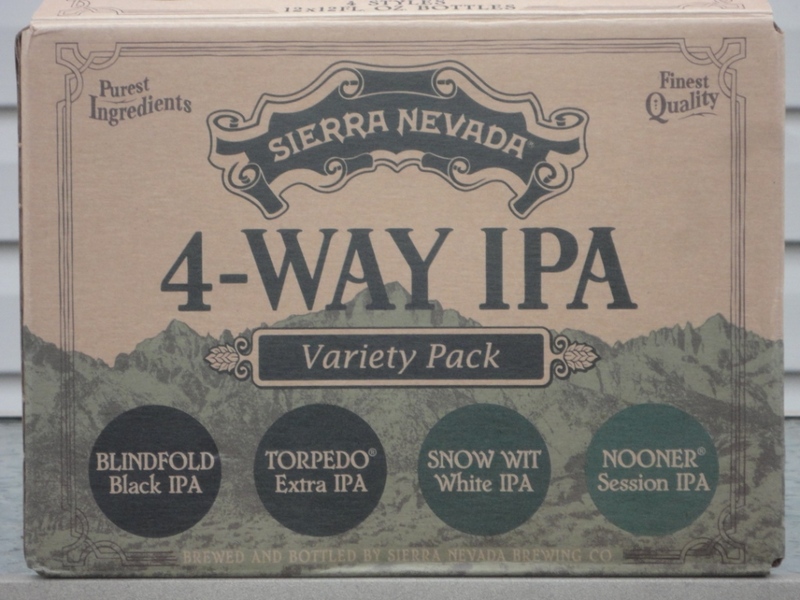 I just found another good one in Sierra Nevada’s 4-Way IPA Variety 12-pack, featuring my favorite beer style from one of my favorite breweries. Beer drinking just doesn’t get much better than this! According to the Sierra Nevada website, this 12-pack is only available in limited quantities through July, so I better head back to the Harris Teeter in Arlington, Virginia to pick up another 12-pack.